If you have an area rug in your home you might think that you can just clean it like you would a normal carpet. Area rugs, however, are quite a bit different and require special care. To start with they are not attached to the floor so strong suction can sometimes just lift them up rather than pull water out of them. In addition, there is often a hard wood floor or other high quality flooring under these rugs which you don’t want to damage. Professional rug cleaning in Las Vegas will be able to get your rugs cleaned safely and effectively. Another thing to keep in mind when looking into getting your rugs cleaned is that there are many different types of rugs. You can have a large rug which was made in bulk by machines or a delicate hand made rug which needs special care. Our technicians will take the time to look closely at each rug to identify exactly what type of cleaning it requires. so it is nearly impossible to get out using normal cleaning supplies. When this happens you really have two options, either replace the grout or have is just out of sight. We use compressed air to force the dust out of your rug so we can move on to the next step. Once the dust is out we will rinse it completely to remove any remaining dirt and also to help wash out the rug. Any cleaning products we use will be chosen specifically based on the type of rug you have to ensure it is safe. Finally, we will dry the rug using equipment which can safely remove the water from your rug without damaging it. This is an important step because if water is left in a rug for too long it can start to grow mold which can damage your rug and cause unpleasant odors. Once the cleaning is done we can return it to where it belongs and help position it perfectly. Whether your rug is handmade or made in a factory it needs to be cleaned on a regular basis. 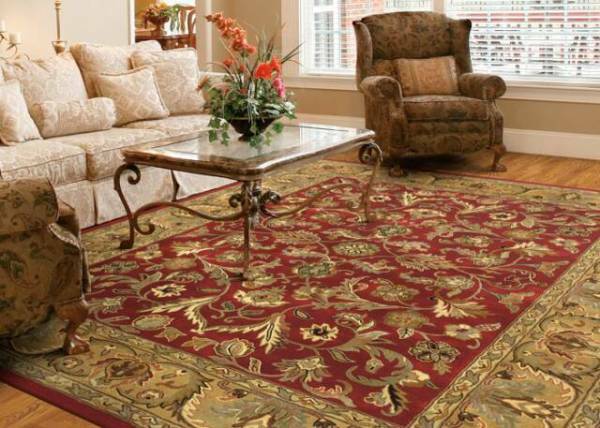 Most manufacturers recommend a professional rug cleaning in Las Vegas at least once per year. This is for average use so if you have a large family, host lots of parties or have pets you might want to do it more often than that. If your rugs are only lightly used then it can wait for longer than a year in most cases. It is important, however, to get them cleaned even when they don’t actually look too dirty. This is because most of the dirt, dust and other impurities are found deep within the carpet and not so much on the surface. Rug cleaning in Las Vegas is an important part of having a clean and healthy home​.